X ray high voltage connector can be used in all X-ray machines, but the type and length of high-voltage point should be chosen. 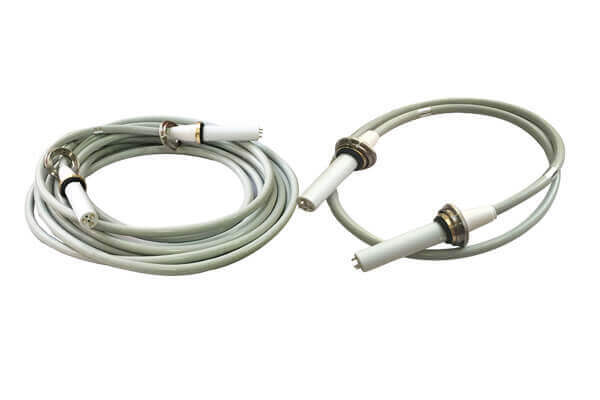 Some customers inquired about our x ray high voltage connector, customers said that they need 6 meters long x ray high voltage connector, our x ray high voltage connector can be chosen between 2 meters and 20 meters at will. But the customer didn’t specify that you want to have less KV, 75KV or 90KV? Our x ray high voltage connector has two types: 75KV or 90KV. In addition, there are two types of x ray high voltage connector head: straight and elbow. Customers say they want to test the samples to see if they are suitable for their machines. Our x ray high voltage connector are suitable for most x ray high voltage connector and compatible with Claymount’s hx ray high voltage connector.